Christa thrives when she’s out in the community, interacting with various groups seeking our assistance with activities such as sponsorships, fundraising, and advertising. 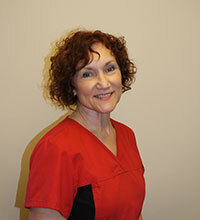 She knows that our practice offers incredible care to each person, and enjoys promoting it. Christa also assists with office financial policies and procedures. Her favorite “work” day? The Solon Home Days festival, when she gets out and talks with our patients, seeing their fabulous smiles. Keeping busy outside the practice with her three children and her husband, who happens to be Dr. Bomeli, Christa enjoys reading, crocheting, and traveling. She’s also a fabulous cook. 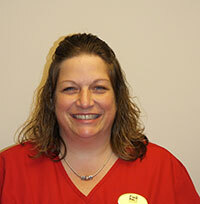 Cheryl enjoys talking with our patients and their parents, hearing about their day and the latest news. As she works at our front desk, she sees patients as they arrive and is able to closely watch their new smile developing and their personality blossoming at the same time. She loves it! 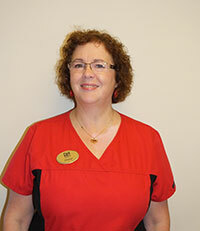 In addition to greeting patients when they arrive, Cheryl lets our staff know when patients are ready to be seen, and she assists in the clinic when needed. Married to her best friend for more than 25 years, Cheryl has two adult children and one fur child, Doc. She and her husband enjoy riding their motorcycle, golfing, and bowling. Walking patients and parents through the new patient exam, Jo Ann enjoys seeing the excitement on a patient’s face at the thought of getting braces and a new smile. She loves her conversations with our patients and learning something new from each exchange. In addition to assisting Dr. Bomeli with the initial exams, Jo Ann reviews the proposed treatment plan with the patient’s family, and then works with them to find payment arrangements that work with their budget. Jo Ann and her husband, Chris, travel around the world as missionaries for their church. She has two adult sons, one dog, and four grand-dogs. Jo Ann also teaches children’s bible studies. Seeing the physical changes, and transformation in a patient’s personality, as their new smile develops, makes Mary happy. Always laughing with our patients, she loves the friendships that grow during treatment. Mary works with patients to take diagnostic records, fit and maintain orthodontic appliances, and performs oral hygiene checks as well as delivering home hygiene care instructions. Mary enjoys spending time with her children and grandchildren, especially attending their sports events. Every year she organizes a charity golf outing in honor of her father, for the American Cancer Society. 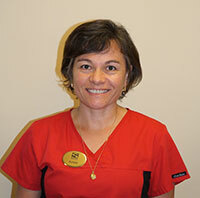 Jenny loves making a positive difference in someone’s life by helping to give them a beautiful smile. She loves seeing the joy on a patient’s face when they see the result of the work they went through. Spending her days working with patients, she enjoys their conversations and stories about their lives. 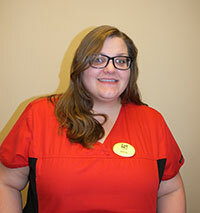 Jenny also trains new clinical team members, performs the necessary maintenance on the orthodontic equipment, and handles our clinical supply inventory, too. In her free time, Jenny enjoys reading, cooking, and spending quality time with a close group of friends and family. Always smiling herself, Aurora loves seeing the smiles of our patients when they come in for their visits. She enjoys getting to know each person and becoming friends with them during their orthodontic treatment. The day the person’s braces come off, Aurora celebrates with them. Her work days are spent providing chairside assistance to Dr. Bomeli, taking orthodontic records, and sterilizing instruments. Outside the office, Aurora loves being with her husband and three children. She likes going to the theater, attending concerts, and is an avid home cook and baker. 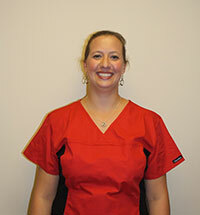 Ashlee joined the Solon Orthodontics team in 2015. When Ashlee is not helping create beautiful smiles, she loves to be outside. She married her high school sweetheart and loves spending time with her husband and son. As a family, they love to travel.